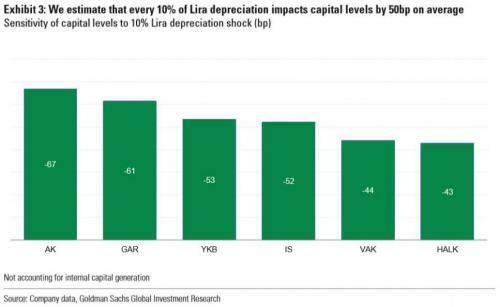 But gave no indication he would meet investors’ demands for an emergency plan to prop up the plunging lira. 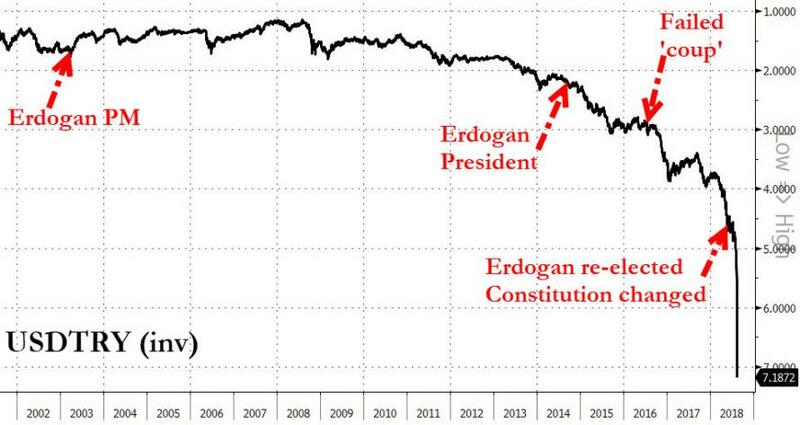 "I’m calling out to industrialists, do not attack banks to buy FX," said Turkish President Recep Tayyip Erdogan in a speech in Trabzon. "It is industrialists’ duty too to keep this nation on its feet. Otherwise we will set into motion our plan B and C," he added. 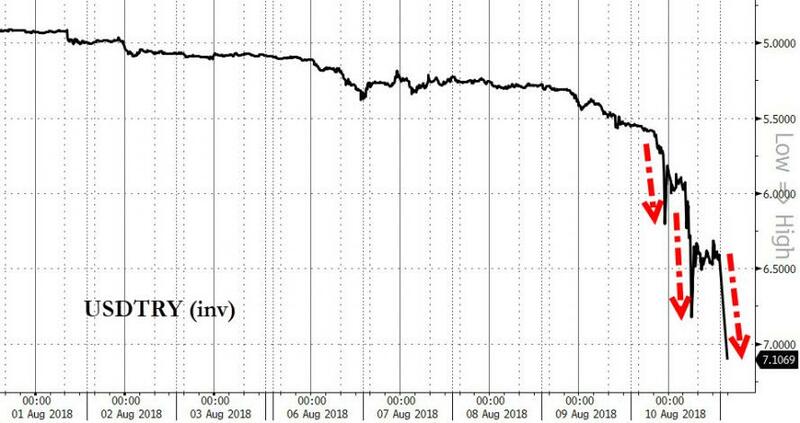 Sounds very scary - Plan B and C... we can guess that the 'B' stands for 'Block' capital outflows and 'C' stands for confiscation of gold and dollars. 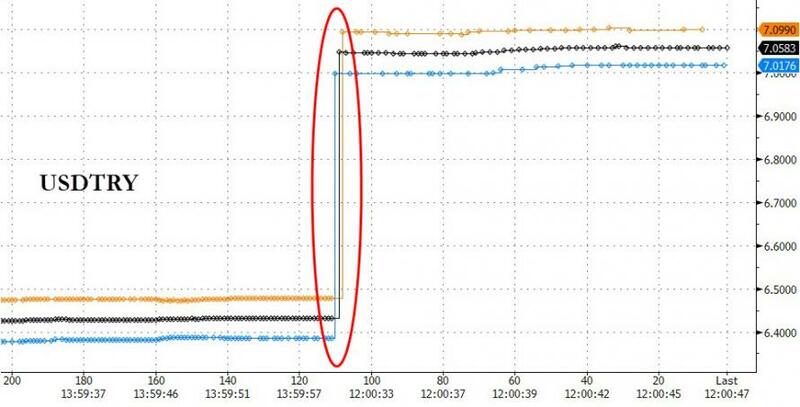 Reuters reports a low level of 7.22 - all of which implies the Turkish banking system is done. 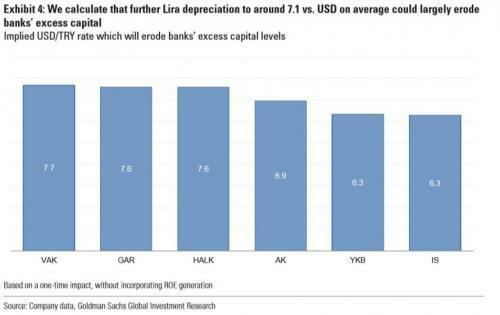 As Goldman Sachs warned, further lira depreciation to 7.1 would erode all of Turkey's banks' excess capital.